I came home for lunch today and had to wait for a few minutes as the food was cooking. Well, I extended it to nearly 30 minutes! As I was gazing out through the window, I realized how fast and nicely the plants potted plants have grown. 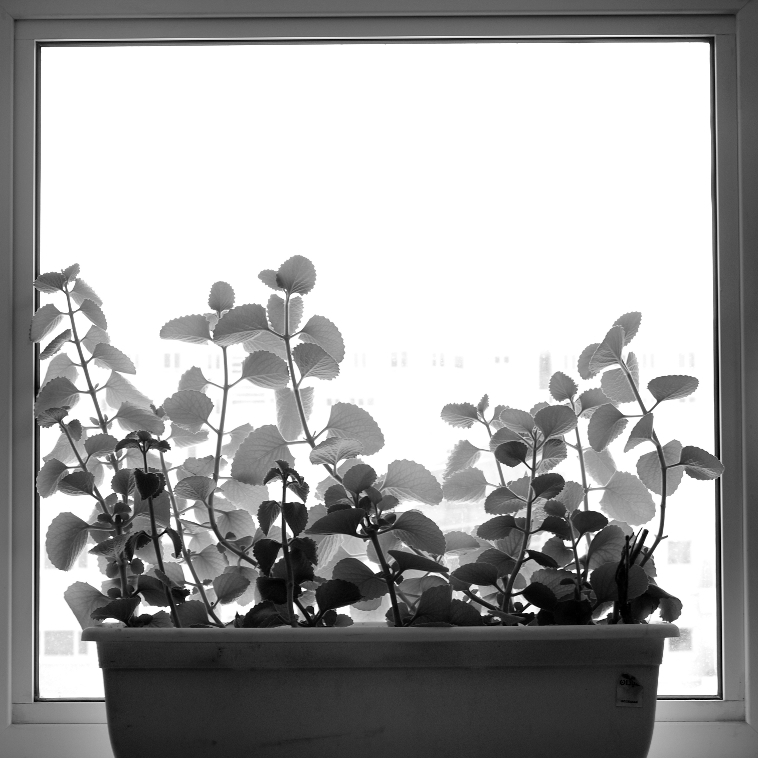 The tendency of the plants to grow towards light source ensure they center around the window. The square window kind of framed the plants very well. I had to move a few smaller plants out of the view and rearrange for better framing. As it was dark inside compared to the bright sunlight outside, I had to increase the exposure by two stops. This also has the nice effect of making the background vanish almost completely from the scene. You can see a faint speck of a building. The scene was shot using the Zeiss Planar 45mm F/2, the one that came as part of the Contax G kit. This lens is allegedly the sharpest lens ever developed for the 35mm system. I shoot this lens on a Olympus EP1 using a mount adapter. This is one of my favorite lens. The adapter is a pain though. I am getting used to the adapter and it doesn’t bother me too much these days. Nice pic – We have a kitchen garden as well, and we love it.